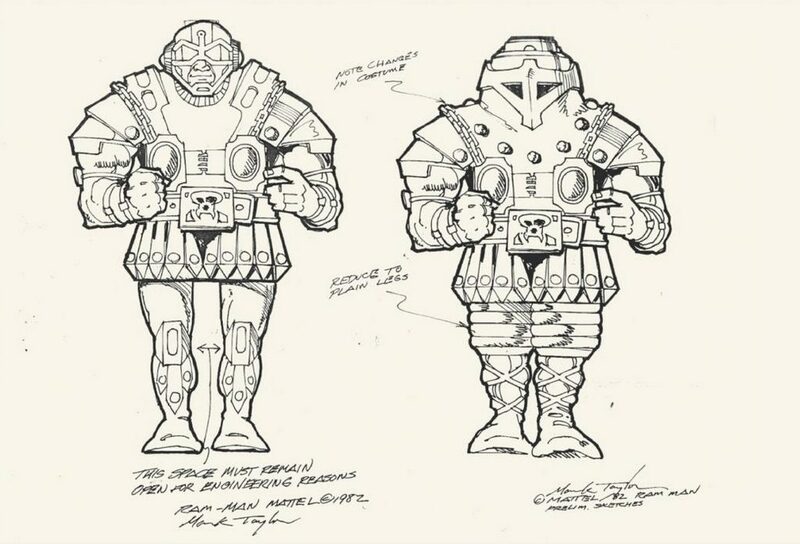 Mark Taylor is the designer behind so many beloved icons in the He-Man universe: He-Man, Skeletor, Man-At-Arms, Teela, Stratos, Beast Man, Mer-Man, Zodac, Castle Grayskull, Battle Cat, Man-E-Faces, Ram Man, and even an early version of Prince Adam. Mark and his wife Rebecca were gracious enough to answer some of my questions about the origins of these characters, and the process of bringing them to life. Battle Ram: Thank you both so much for agreeing to answer my questions. I recently interviewed Ted Mayer and Rudy Obrero. It’s a thrill and an honor to also be able to interview you now! Mark: Adam, thank you for your interest, both Ted and Rudy are my friends as well as excellent designers. It was a pleasure to work with them on He-Man. 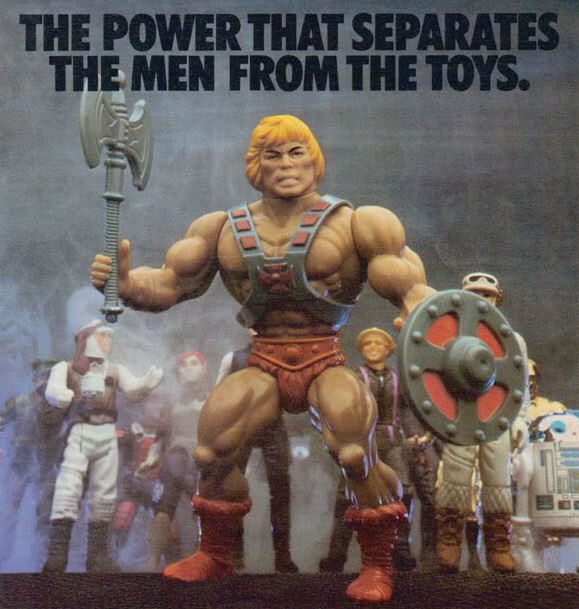 I do not call the brand MOTU because that was just a Mattel marketing and management concept. “Masters of the Universe” also helped them separate it from a potential lawsuit with the Conan property owners. It also was part of their effort to remove the concept from the original creator and inventor, me. BR: You were originally hired by Mattel to work on packaging. 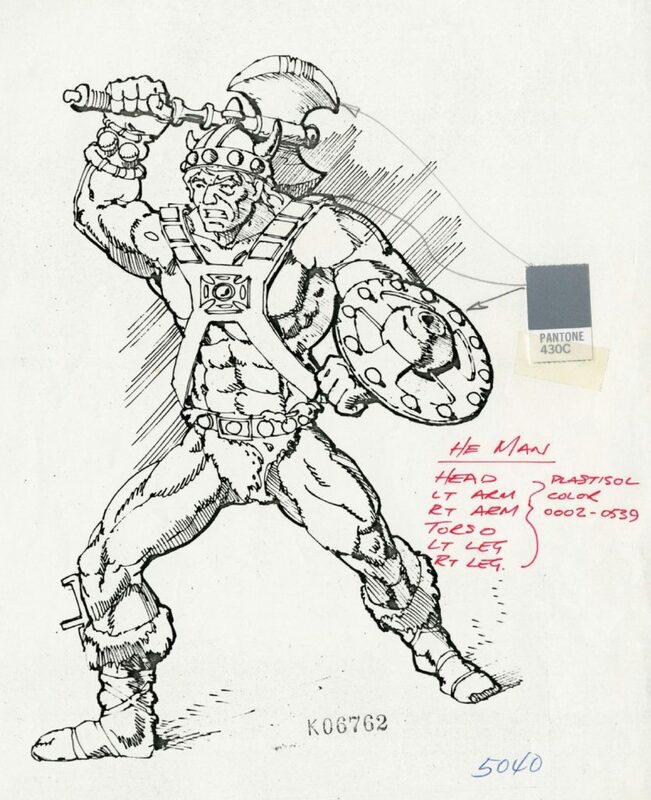 How did you come to be the designer for He-Man? Mark: At the age of eleven I was a compulsive reader and drawer, I love story telling and adventure, influenced by Hal Foster’s beautiful strip and Burroughs and Howard’s books. I started telling my own heroic story. I went to Art Center, Cal State and worked for the US Navy (Combat Illustrator). 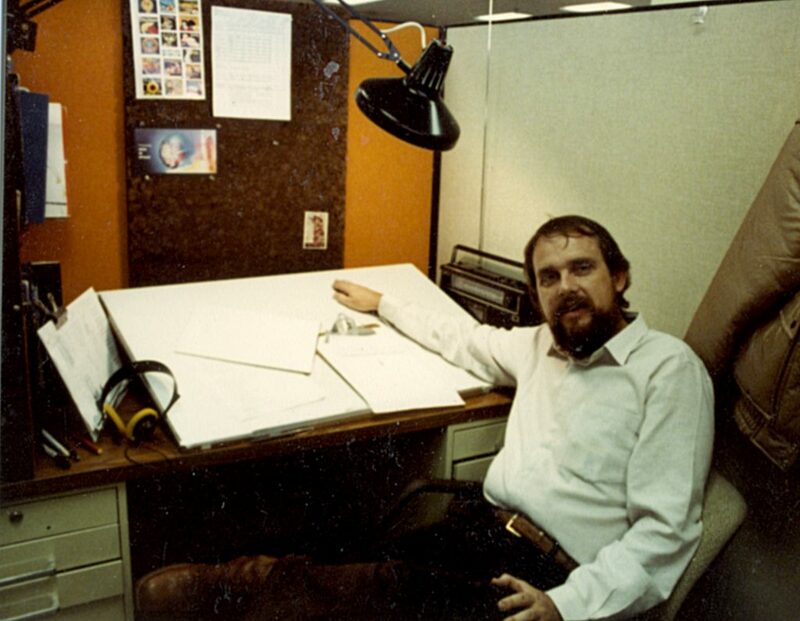 Then through a friend I found out there was an opening at Mattel in Visual Development group. 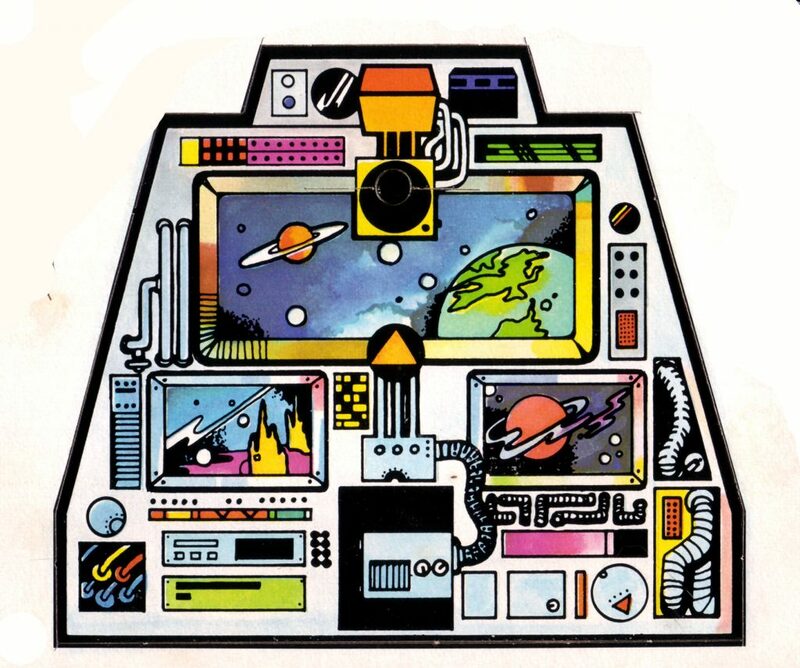 They were a very talented “bullpen” who were responsible for the appearance of the product which included packaging but also the products’ labels, color, details and early engineering drawings. This was a perfect fit for me, and I was promptly assigned to work on Barbie product, which was a honor because Barbie has always been Mattel’s cash cow. 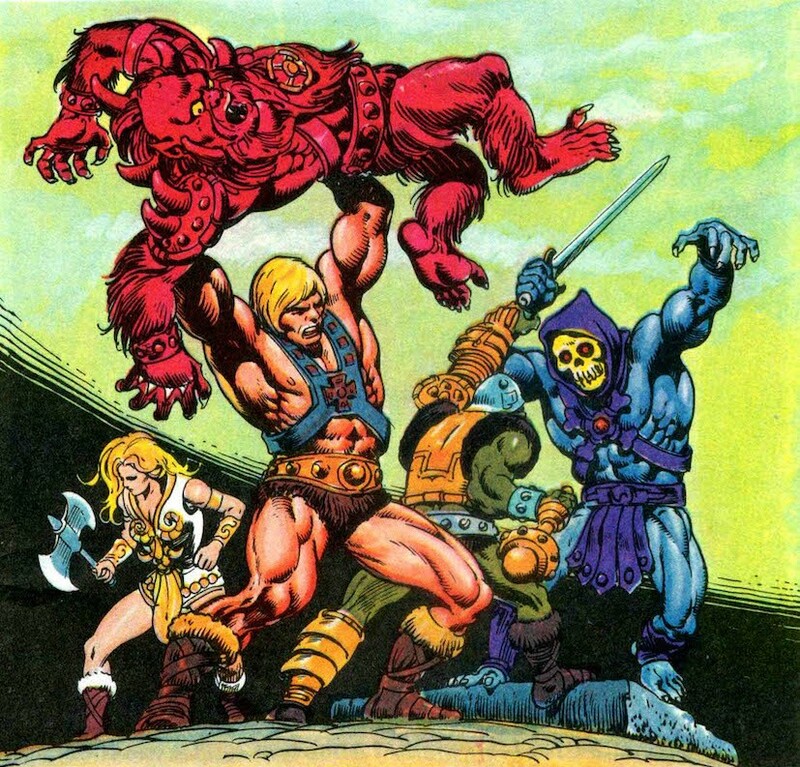 BR: He-Man and Skeletor seem very primordial and archetypal to me. 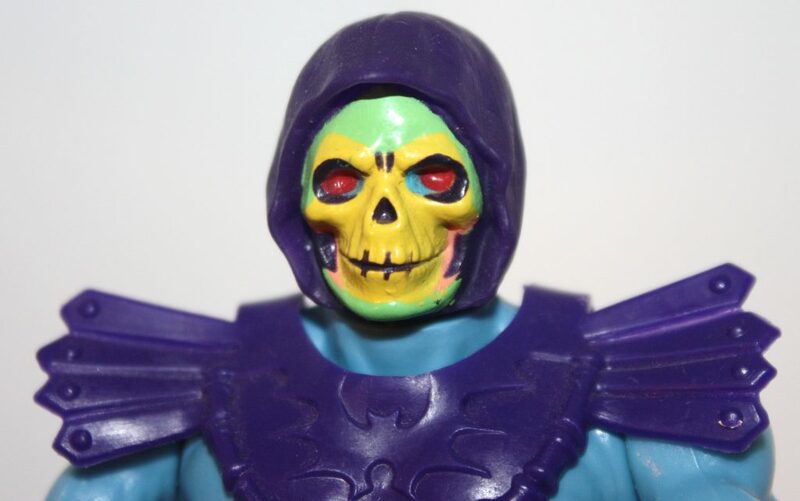 He-Man is the embodiment of life and vitality; Skeletor is the embodiment of death and decay. When you were designing these characters, was any of that running through your head? 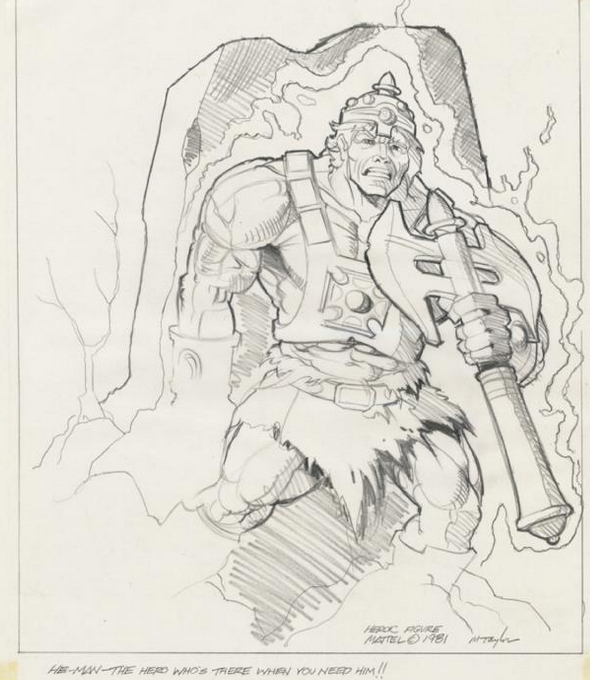 Mark: He-Man’s original name was Torak, Hero of Prehistory. He was the defender of the weak and righteous and foe of bullies and villains. This powerful hero needed a worthy adversary who embodied evil and sorcery on every level. 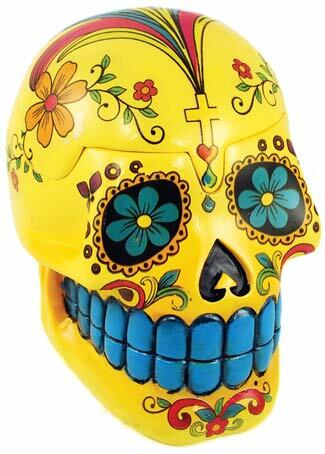 Skeletor was influenced by many literary sources but visually by a carnival scare ride with a skeleton like figure that dropped down and rattled (turned out to be a real mummified outlaw); also a lot of Mexican Day of the Dead art and sculpting. Skeletor had to be powerful in his own right and believe completely in his cause as much as Torak (He-Man). The battle was set, a righteous hero mounted on a giant Battle Cat verses a nefarious villain imbued with mystical evil powers. The clash of arms could be heard to the ends of the earth. BR: So He-Man originated with your Torak character, which I believe you had been working on since the 1950s. Did Skeletor originate from that same time? Mark: Absolutely. Skeletor evolved simultaneously with Torak, it had to be this way. They were the yin and yang, the reason for being, opposites to battle forever. BR: As far as I can tell, Stratos was originally supposed to be an evil warrior (correct me if I’m wrong! ), but then he was released as a heroic warrior. Were there any other characters who ended up switching sides? 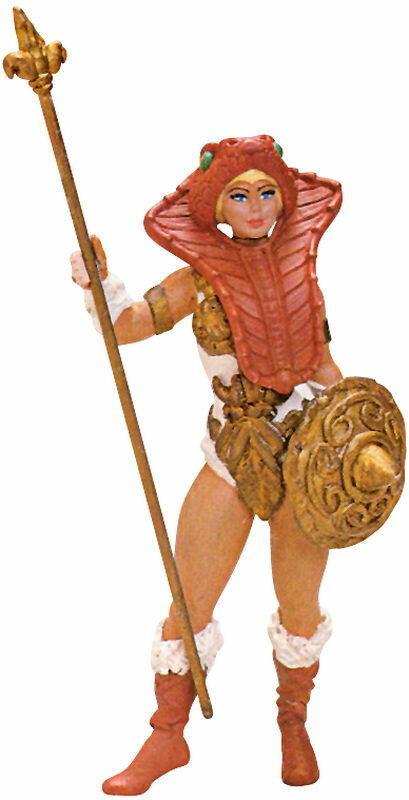 Mark: Yes many, the early figures that switched sides were, Beast Man, Teela, Stratos, Man-E-Faces and Ram Man. It was a money thing, we had to release the figures, vehicles, playsets and accessories in waves to pay for the tooling and advertising. 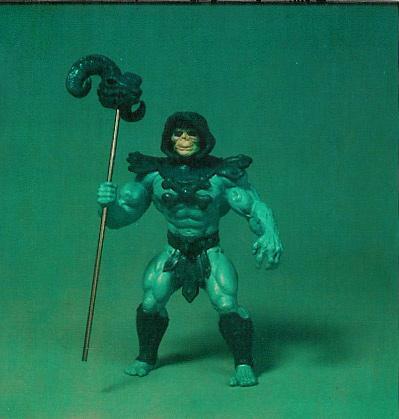 Mattel did not really believe in the line until after Castle Grayskull was a big hit. Then it was just a matter of corporate greed as to how much we could jam down the public’s throat. I left to work on TMNT. 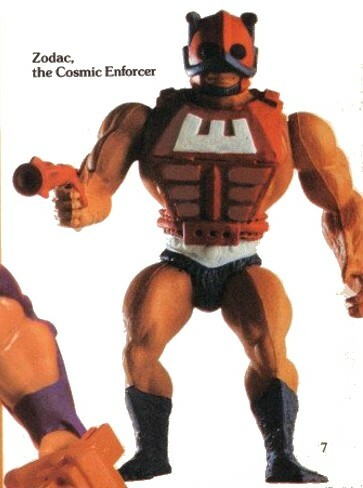 BR: Can you talk about your working relationship with Ted Mayer on the Masters of the Universe toy line? Mark: Ted is an industrial designer, I am a designer/illustrator. I sketched out the line but needed help with the vehicles. I requested Ted and he did a great job. It was important that the figure controlling the vehicle be very visual, we didn’t have a movie to explain and promote our product like Star Wars did. BR: How did you come to hire Rudy Obrero to do paintings for the packaging artwork? Can you speak a little bit about your experience working with him? 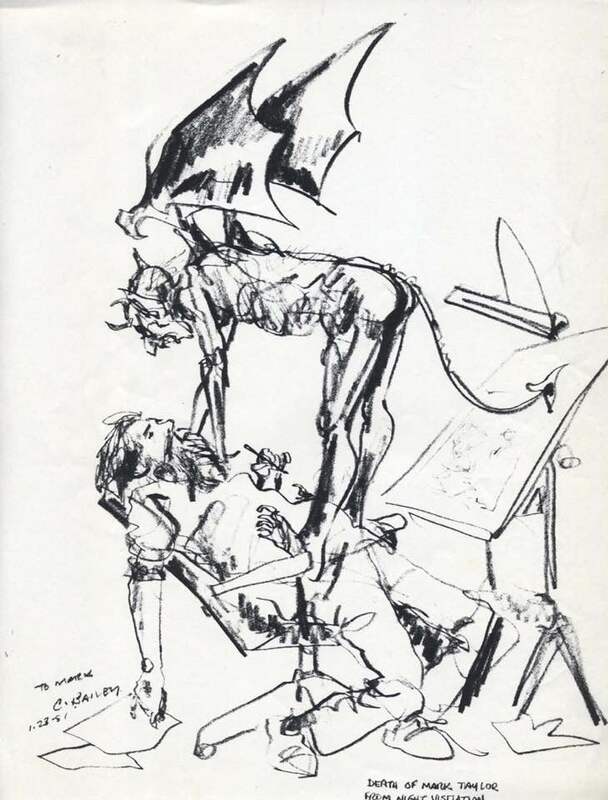 Mark: He was the only guy who could paint like Frank Frazetta, he was great to work with. Always came back with more and better than I expected. He would do great stuff from very little reference material. We were turning out stuff like crazy fast. It was like we were joined at the imagination. BR: Mattel took quite a risk in producing your designs that were not based on any previous intellectual property. It was a risk that obviously paid off. Do you think toy companies today are more hesitant to take those kinds of risks? Mark: Mattel took no chances at first. Ray Wagner, President of Mattel at that time, laid his reputation on the line and went against everyone else to give Masters a lift off. We were forced to do illegal child testing early on (another lame boys toy was supposed to be tested, but the Preliminary guys weren’t ready). We snuck in thanks to Angie DiMicco. I was there with He-Man, Teela, Beast Man, Battle Cat and Skeletor. The kids tried to steal the prototypes after the testing. We had a hit. BR: A lot of characters went through color changes as they went through development (either to themselves or their costumes or both). 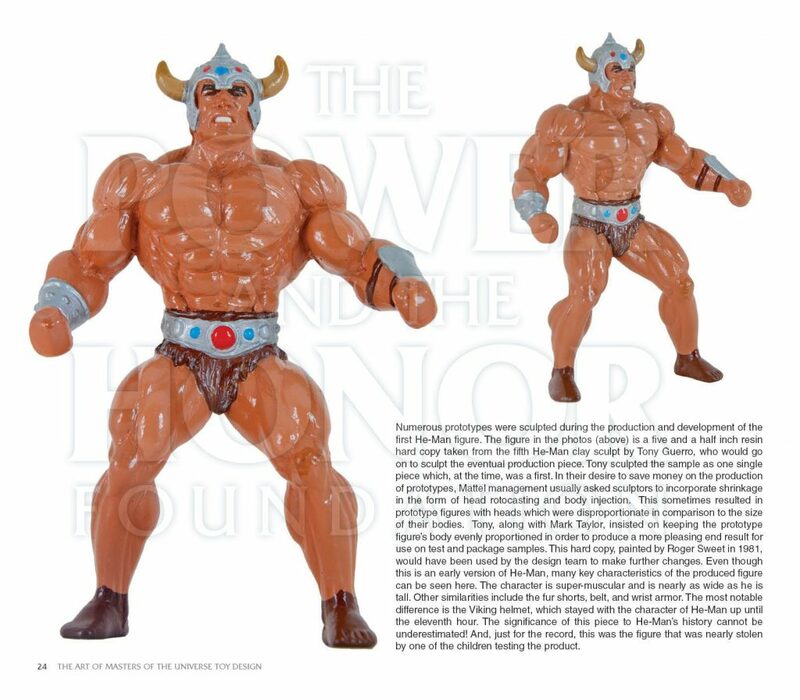 Examples include Beast Man, Mer-Man, Teela and Ram Man. What was driving those changes? Mark: Sorry to admit it, but cost. Later when the brand was making billions no one cared but in the beginning engineering pinched every penny, especially in paint masks. Also there was a conscious effort to avoid anything that resembled Star Wars or Conan in any way. 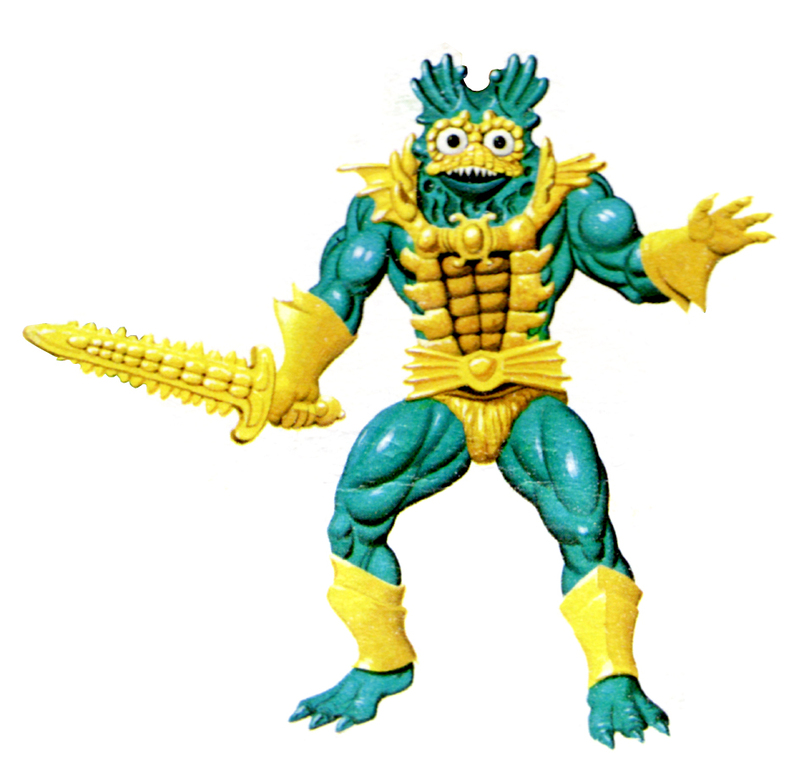 BR: Mer-Man went through quite a few changes from B-sheet to final toy. What was behind the changes to his design, particularly the changes to his face? Mark: Mer-Man tested the lowest. Tony Guerrero the great sculptor and I chased the negative child test comments until we finally realized the marketeers were just messing with us and then we went with what we had. Mer-Man was the weakest but people who like him really like him (I based him on Bernie Wrightson’s Swamp Thing). BR: There is a character you designed who fans refer to now as Demo-Man. 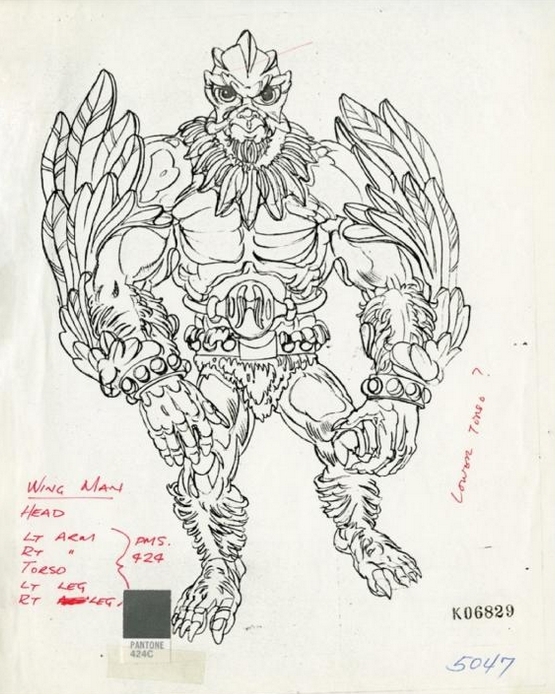 Do you see him as an early incarnation of Skeletor or Beast Man? Mark: No, he was a separate concept that I was too busy to exploit, I was working until the sun came up and the Mattel building was empty. I was pretty much running on fumes. I would have loved to take him further but like so many concepts corporate profit came first. 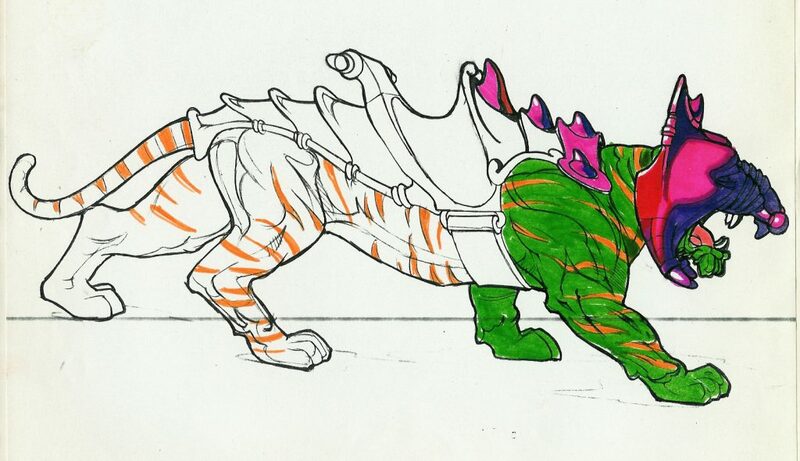 BR: You designed the armor and helmet for Battle Cat as a way to reuse the Big Jim tiger. Can you talk a little bit about that design? The helmet design is quite striking, like some mythical beast. Mark: I had used the Cat on the Tarzan line, I liked the sculpt but the 5.30″ He Man figures wouldn’t ride on him and I wanted him to ride on a huge cat. Nobody messes with a guy riding a huge armored cat! I had seen a guy ride a regular tiger in the circus and wow! 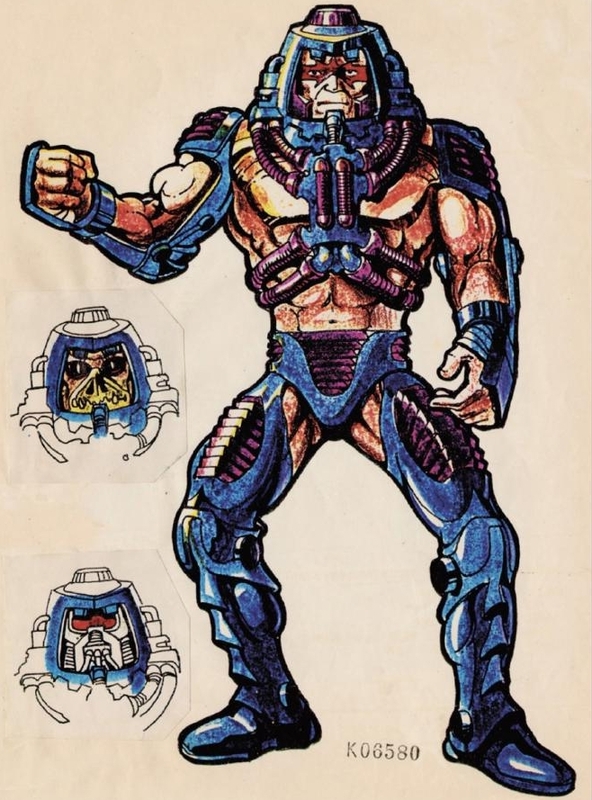 The head armor came from my childhood sketches and had to be engineered for costs and molding ease or the marketeers would lose it (thanks Ted). 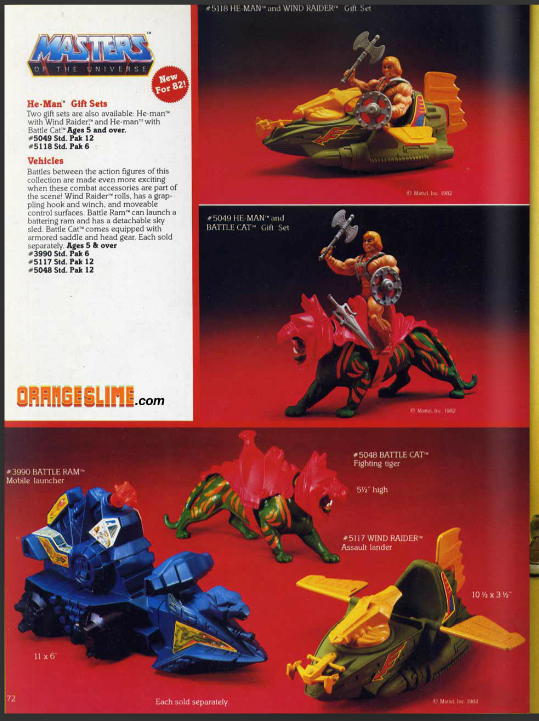 BR: The colors green and orange seem to be pretty prominent on those early toys (Battle Cat, Man-At-Arms, Wind Raider). Is there a story behind that color scheme? Mark: Not just a story but a lot of work and fighting, those colors were not very common in action toys. They pop but looked somewhat alien. 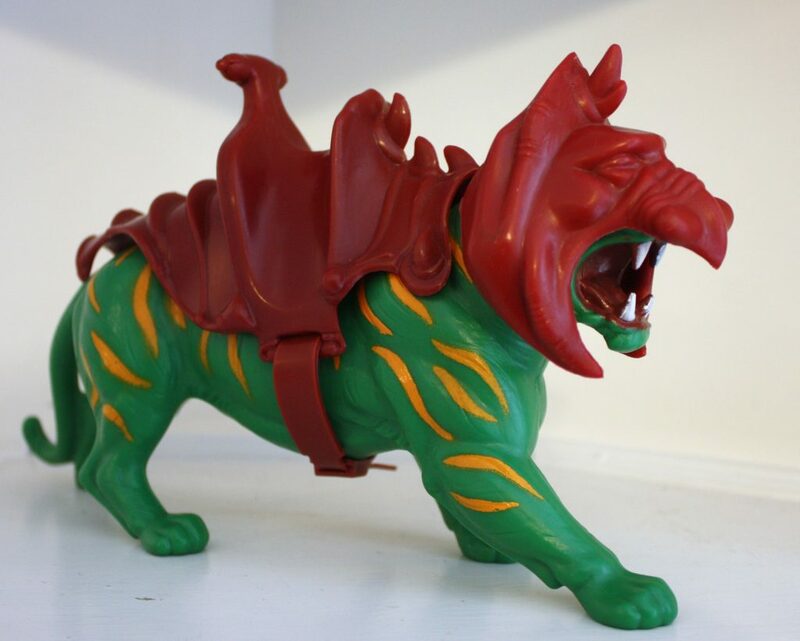 I definitely did not want Battle Cat to look like a real tiger, he was much more that but they sold out on him in the animation and later toys after I left. 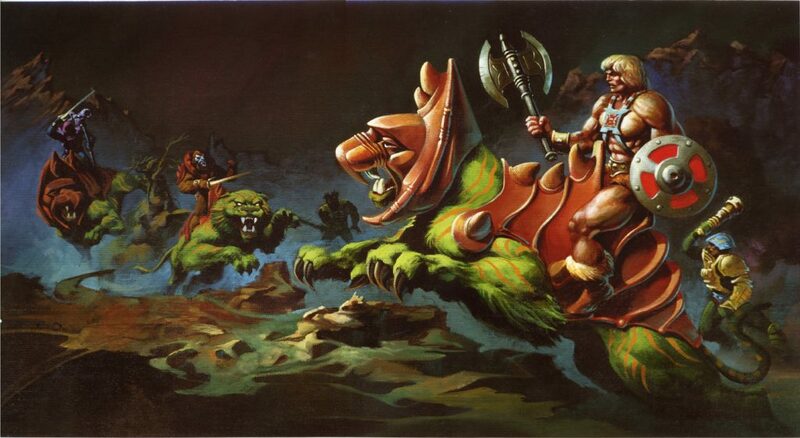 He or He-Man were NEVER supposed to be silly in my imagination. BR: Did you have an origin story in mind when you designed Man-E-Faces? How about Ram Man? Mark: Yes, but no one was interested, they wanted to ship it out immediately to animators and movie producers, you know “professionals”. I designed him to have a different and interesting feature besides a twist waist. All the answers to my original story are in clues in Castle Grayskull, where they should be like a puzzle. 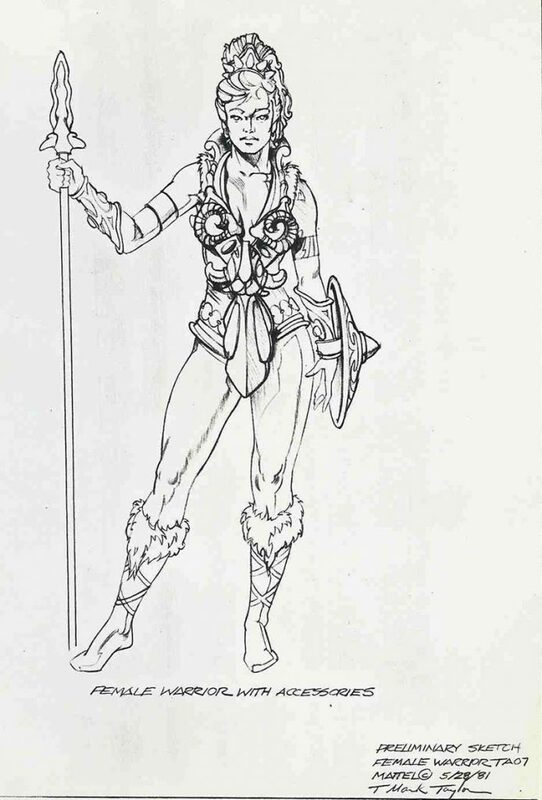 BR: Teela and the Sorceress/Goddess (the one with the snake armor) were originally separate characters. Whose decision was it to combine them into a single action figure? How did you feel about that? Did you intend the sorceress character to be a hero or a villain? Mark: She was actually supposed to be a changeling but the comic book guys had a hard time with that. Also, the head of girls toys wanted to rip her off for Princess of Power (because now the line was very hot!). She was intended to be like a spy and play both sides with some magic but the “professionals” felt that was too complex (I guess they don’t get Game of Thrones either). 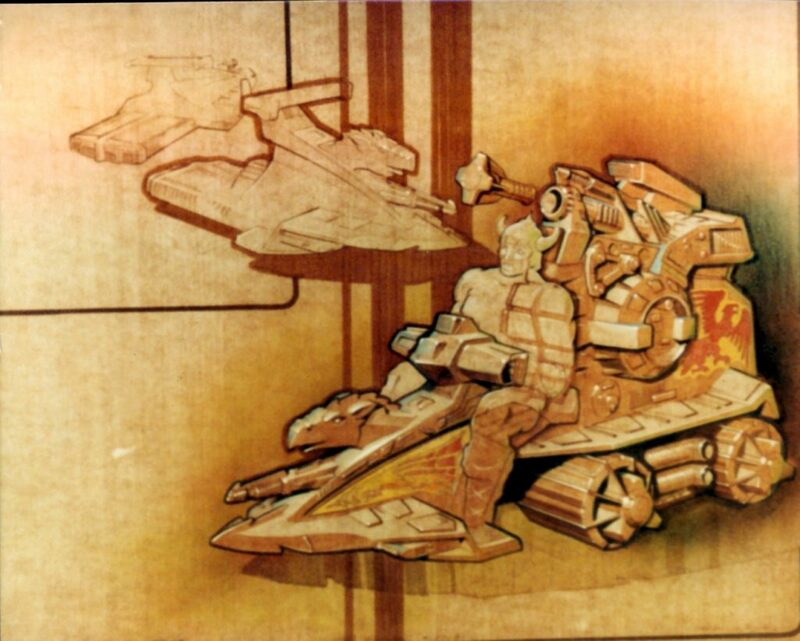 BR: In the first couple of years of the toyline, all of the vehicles seem to be geared toward the good guys. Why was that? Mark: Don’t forget Skeletor used MAGIC but He-Man never did. Skeletor could animate anything and go anywhere. In my mind that was one of the main differences between the main characters and their followers. 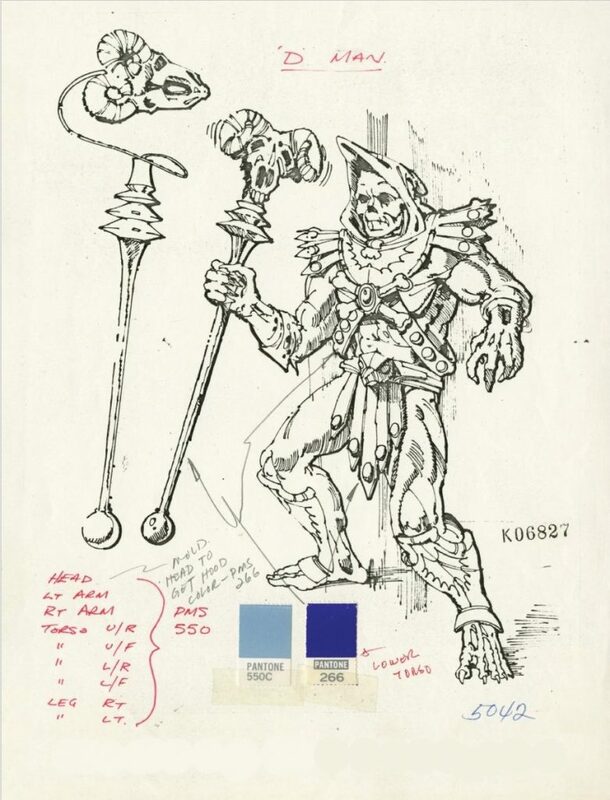 BR: The late Tony Guerrero sculpted a lot of the early He-Man figures. Can you talk a little bit about what it was like to work with him? Mark: Tony was a great artist and a really nice man and it was my honor to work with him. I also worked on another project, TMNT with a nice and super talented guy named Scott Hensey. Working with both of these sculptors allowed me to break custom by adding a step to the development process. 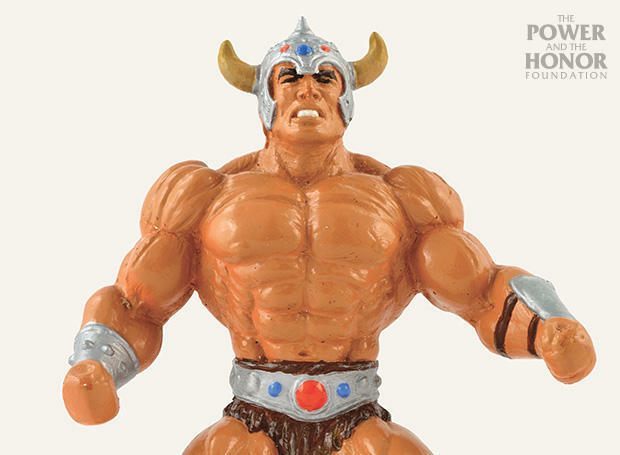 On the He-Man line we did a looks like beauty sculpt, non articulated from my “B” sheet (design sketch) for testing and sales and until we got the first shots from China. This was Tony’s idea and without this extra step, the confidence in this “weird” concept wouldn’t have happened. I repeated this process with the Turtles. BR: These toys were a surprise, runaway success. 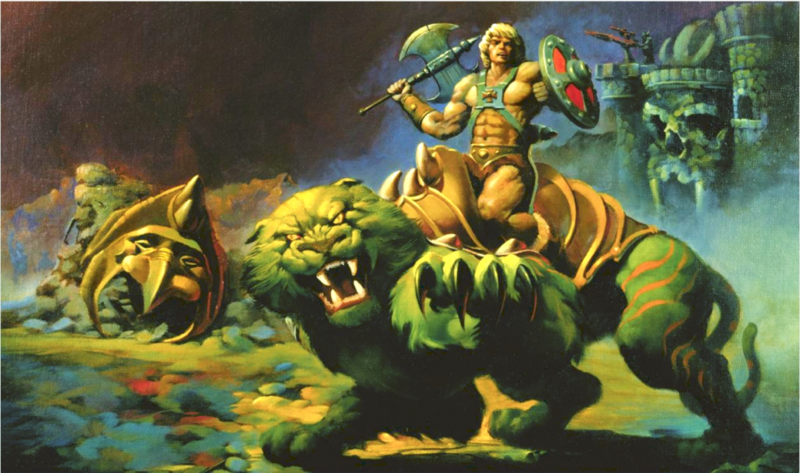 What is it about He-Man that made it so successful, do you think? Mark: Everybody pushes us little guys around, we secretly want to strike back at all the bullies. We need to feel like we can make things better and are willing to fight to do it. With He-Man we have the power! We have a chance. I feel that the basic concept of courage cannot be taught, it can only be shown. BR: What did you envision for Zodac when you designed him? 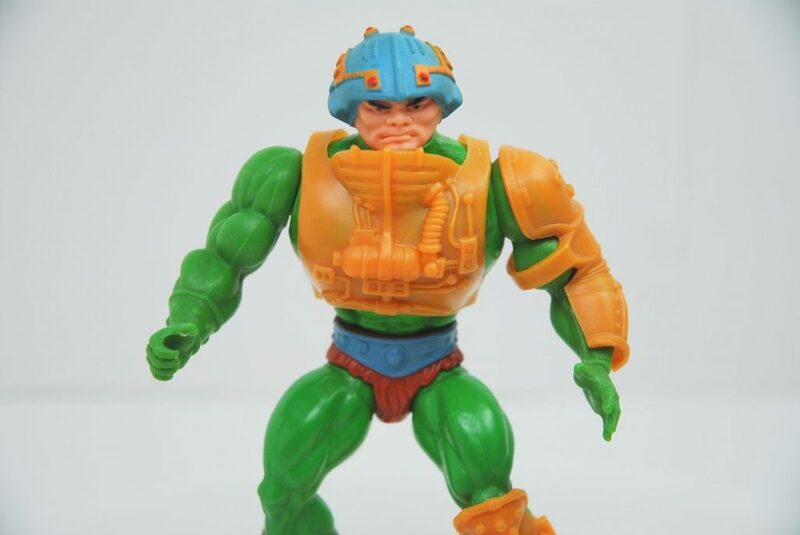 What were his abilities and where did he fit in to the MOTU universe? Mark: Zodac was all about flying. He was the air wing. I was influenced by Flash Gordon and the flying Vikings. BR: Castle Grayskull is probably the greatest playset ever made, and I understand that you sculpted most of it yourself? What was that process like? 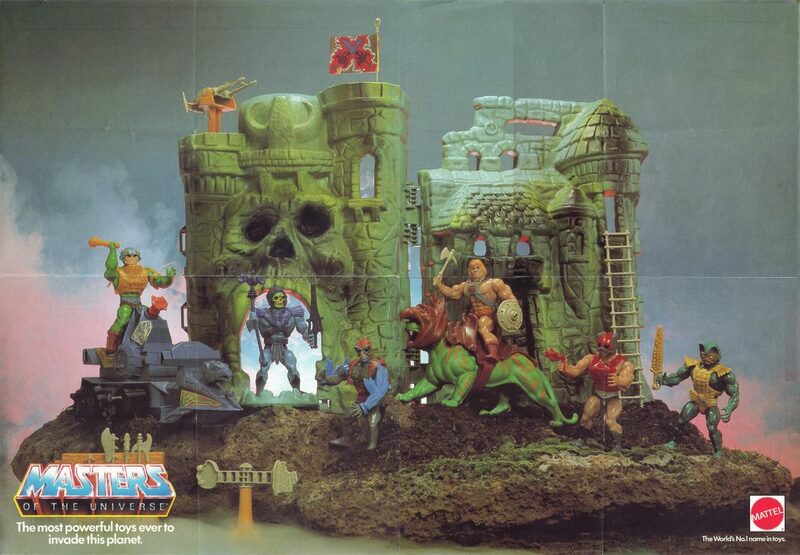 What does Castle Grayskull mean to you? Mark: Yes I did because Tony was busy with the figures and the other sculptors kept making it too architectural. I wanted it to the castle to be organic, coming to life to tell its story. I made a wood armature and sculpted it in green clay. Ted helped with the plaster mold and vacuum forming, Rebecca did the labels. Marketing (now everyone wants in on the game) wanted it to retail for twenty nine dollars. The imaginative user applied labels themselves to offset the lack of interior walls. Toys R Us sold all they could get fifty dollars which was quite a mark up. 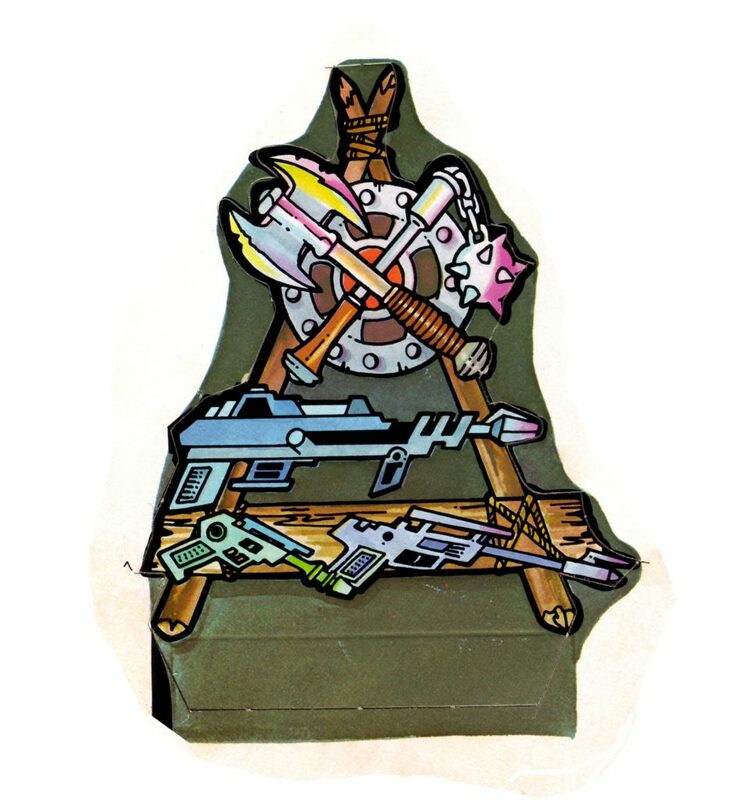 BR: Rebecca, I understand you worked on the stickers and cardboard inserts used in Castle Grayskull. The style ranges from regal to almost psychedelic. What did you have in mind when you were working on that project? Rebecca: The only chance Mark had to tell the story was with the castle. He always said, “all the answers are in Castle Grayskull”, which is quite a different direction that it eventually went. Once the president of Mattel Ray Wagner chose to go with it, everything moved at such a high velocity because he wanted it and no one else understood it. Mark asked me to combine classic icons along with futuristic ones because he was going against Star Wars and after all it was a ” warrior-type” premise that had to somehow be more than Conan, Tarzan etc. Mark had sketches in ancient sketchbooks which I took and redesigned stickers from. I did the designing, drawing, inking and coloring, that includes labels for vehicles as well as directed by and revised by Mark. Just like every label job, I was given areas that I had to fit. Because everything was going so fast, sometimes those areas would change shape and would have to be redrawn on the fly in those cases Mark was redrawing my stuff because he was hands on with the castle. Because we’ve worked together for decades, we speak in brain waves. 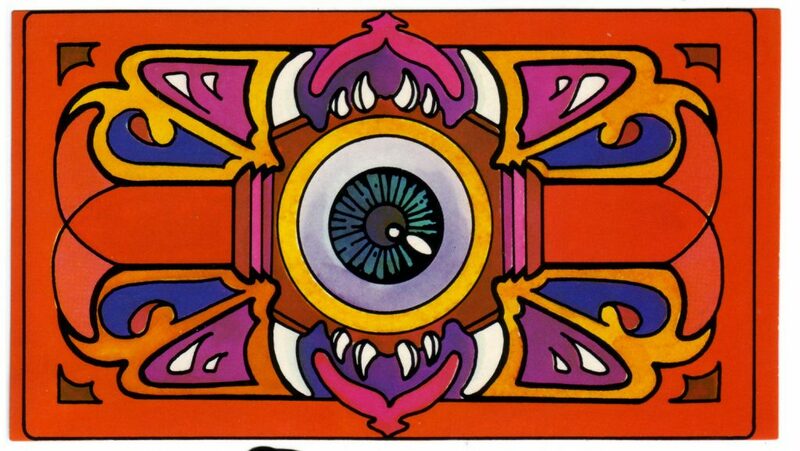 I think the reason they are perceived as “psychedelic” is because Mark said, “We’re already going somewhere no one else has so don’t render the labels in the normal hard edged graphic way. I used Dr. Martin’s Dyes and let the colors run and wash into the line art. I think it went through because it was so fast and still no one really “got it”. It wasn’t until after it looked like it might be “big” did people start making decisions to get connected to the project or shall I say get their “scent” on it if you know what I mean. The innovation on those labels happened because Mark was approving and controlling this project and I knew what he wanted. I’ve done many labels for other toy companies and no one has ever asked me for “something really different” and yet these were a big hit. I was always disappointed that the Mylar printed moat that surrounded the castle was costed out. 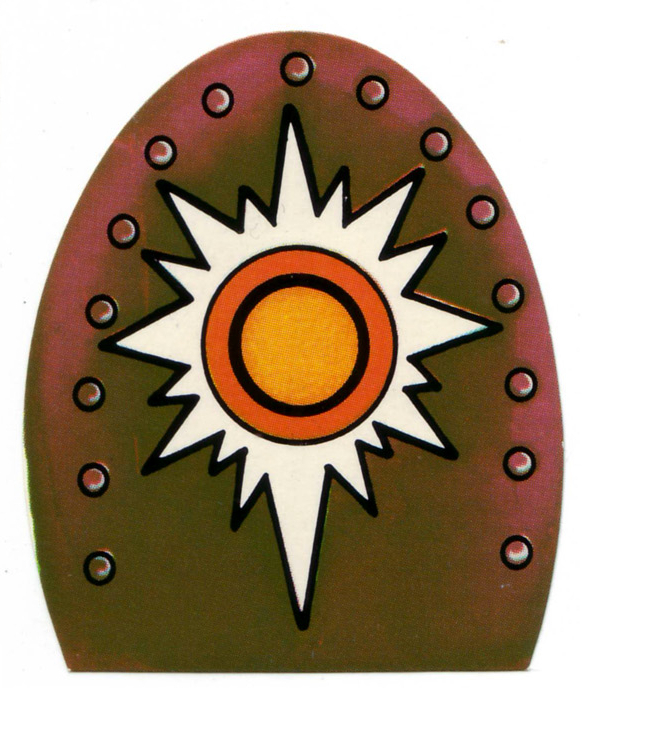 BR: Was Errol McCarthy responsible for creating the cross sell artwork on the back of the packaging (below)? Mark: In the beginning it was someone else and then Errol came in. 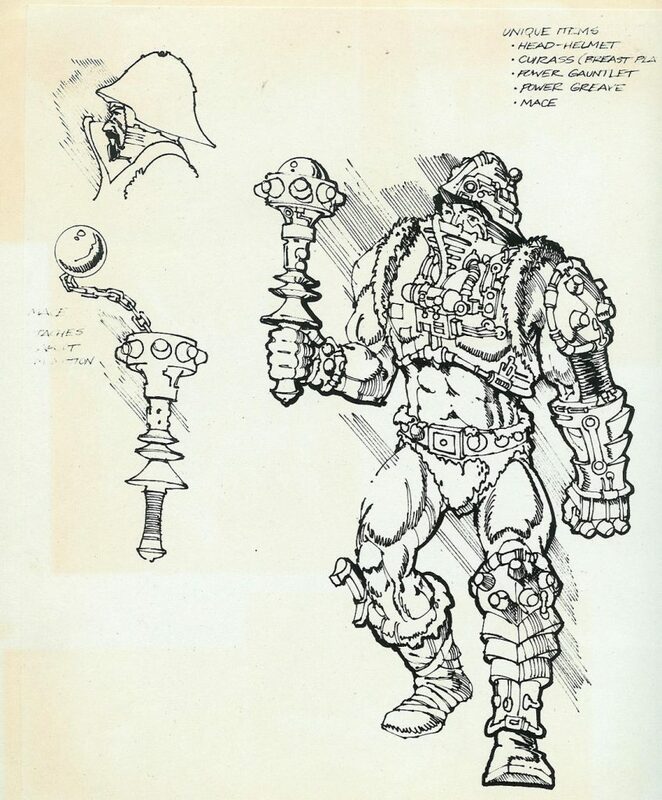 BR: MOTU differs a bit from traditional sword and sorcery in that it includes laser guns and flying vehicles. What was behind the inclusion of science fiction with barbarian elements? Mark: I never wanted it to be a traditional. If I was still working on it I probably would have added zombies, aliens and time travel. Why not? BR: Often in the process from b-sheet to prototype to finished toy, there are a lot design changes. Which finished toy were you most pleased with? Which one do you feel didn’t live up to its potential? Mark: Castle Grayskull was the best and most innovative, Mer-Man left me a little unsatisfied. BR: In a nutshell, what is your vision for Eternia? What kind of place is it? Mark: Eternia is a stupid name to me (not my name). I imagined that world be like a nightmare that you can modify as you go. ALWAYS about hope. BR: In public appearances you often talk about Joseph Campbell and the hero’s journey. What has been your personal hero’s journey? Mark: My wife Rebecca epitomizes attaining a fulfilling goal, she is my Nirvana. My life is filled with beauty and love, I wish everyone could be as lucky as I.
BR: Are you both still actively involved in creating artwork? What kinds of projects are you passionate about now? 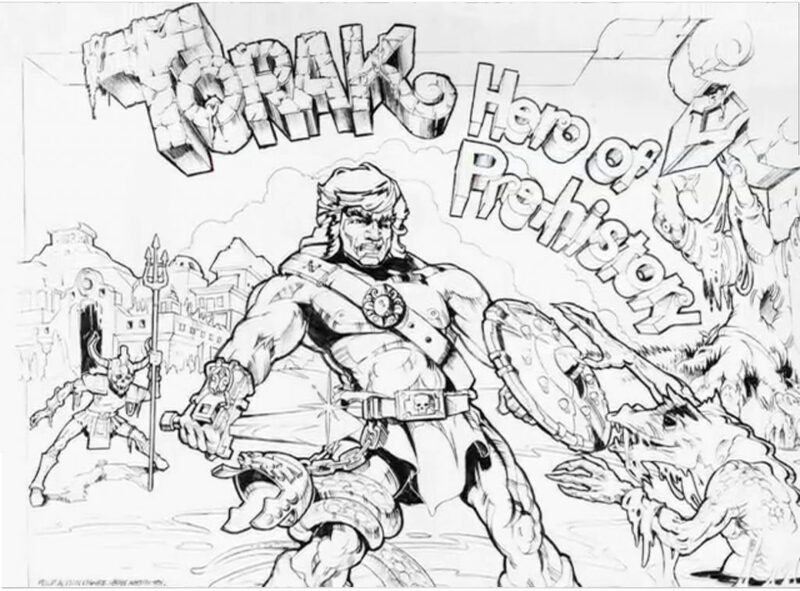 Mark: I am writing a the original prequel to He-Man based on the original Torak. Also an autobiography about my life in the toy biz. I am fascinated by computer 3D design but it is very non-intuitive for me. I still love to read and watch movies, I wish I had the resources to make one. Rebecca: I work on digital art because it is so easy to create my style of graphic art which is strongly based on shapes and color. It is so exciting to me to be able to have such a magnificent palette and to be able to experiment with unlimited color combinations with a couple of keystrokes. Many thanks to Mark and Rebecca for patiently answering all of my questions. Hopefully we can look forward to a book or two from Mark in the future! Teela’s original idea makes sense. 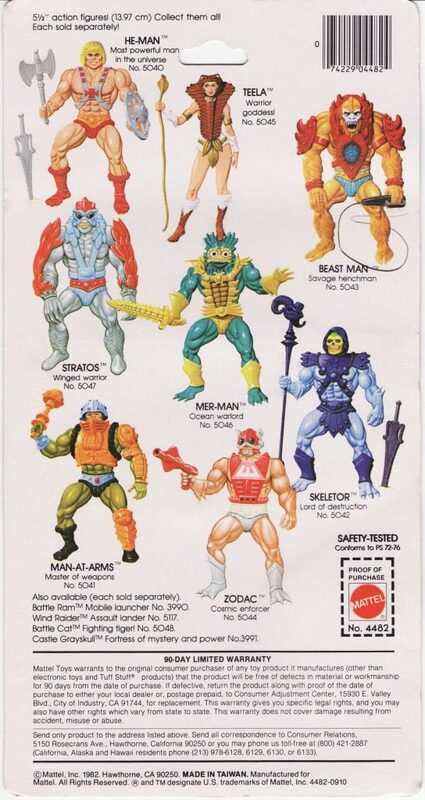 Stratos being swapped also makes sense as does Man-e-faces but i think Beast Man and Ram Man are abit of a surprised to me. Agreed, I was surprised as well! 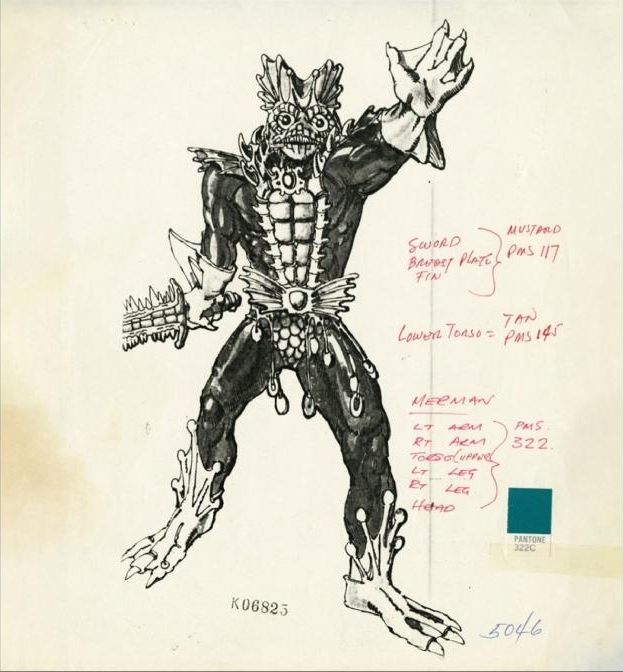 The Mer-Man package art and design was so cool. I was bummed when I saw the cat head on the original toy. He is my favorite character still today. 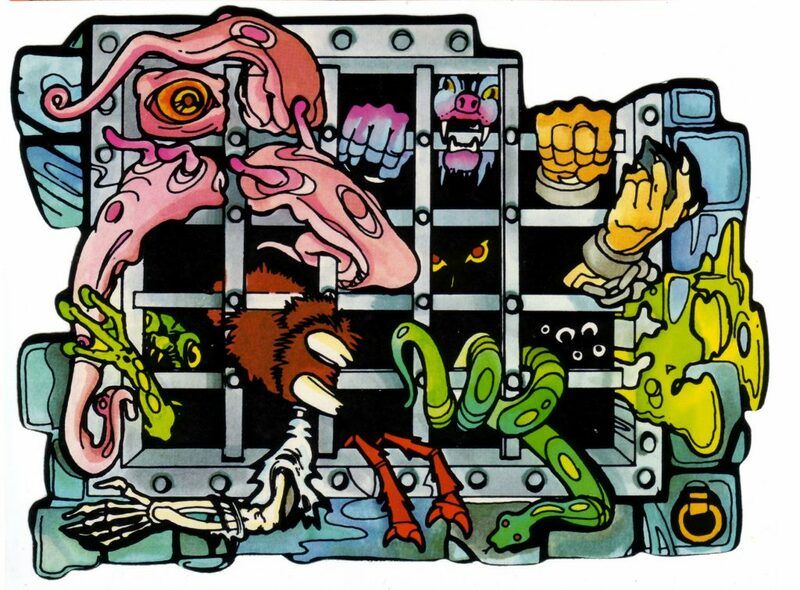 I’m glad the classics line sculpted the fish head that I always saw in the mini-comics and the package art. 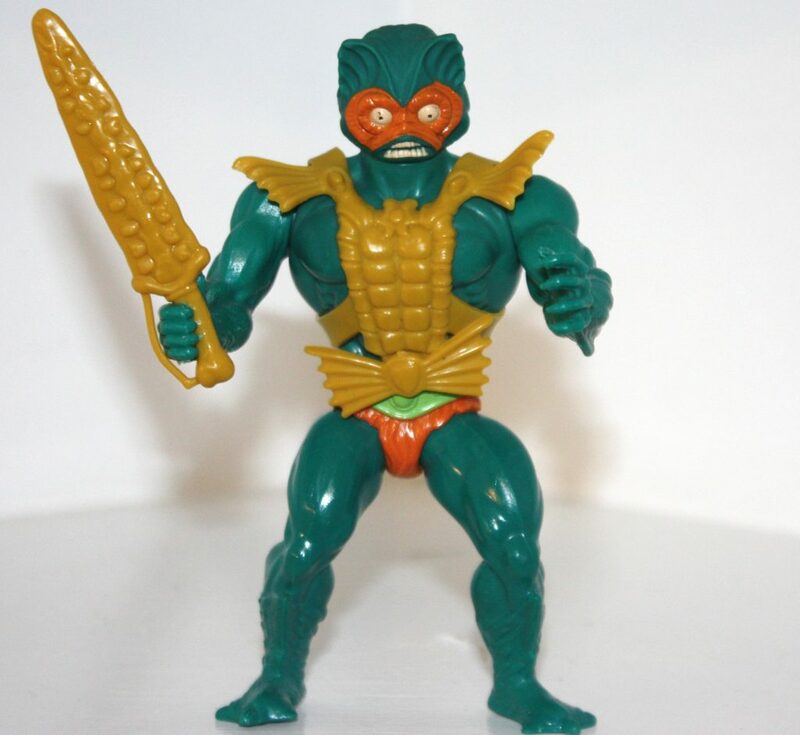 The Classics Mer-Man is my favorite for that reason. I would love to see Mattel release some vintage style figures made to resemble the cardbacks too. 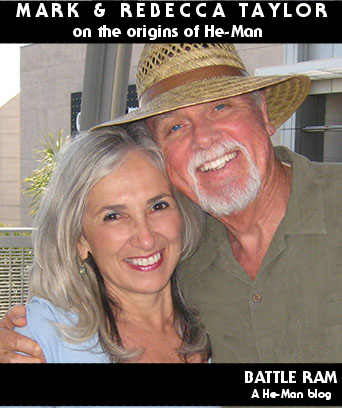 Fascinating stuff, Battle-Ram! Thanks for posting, I really enjoyed the read. Great interview. If you ever go as far as the 1987 movie, designer Ed Eyth would be a good interview. You can find interviews about his work on Back to the Future II. 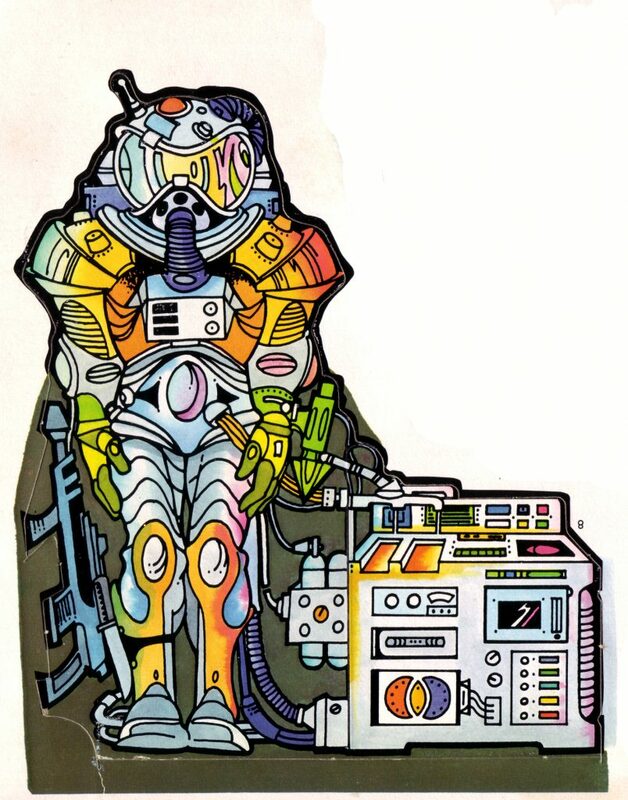 Basically any cool chrome design in movies from Flight of the Navigator to The Rocketeer, Ed did and that includes MOTU’s cosmic key and Captain Power. After that he mastered felt design with the Jim Henson Company. I never really believed him to be Demo-man. I love this article, quite something to read about the origins told of by the designer. Hope you can find more people like this to interview, before they take this great knowledge with them when they go! You have the power man!!! Great interview. It would be incredible if the band of Rudy Obrero, Mark Taylor, Ted Mayer and Roger Sweet could collaborate on something new together, especially with today’s design tools. I love the Battle Cat box art with herds of other Battle Cats! 1. Has he ever clarified this statement in other interviews? 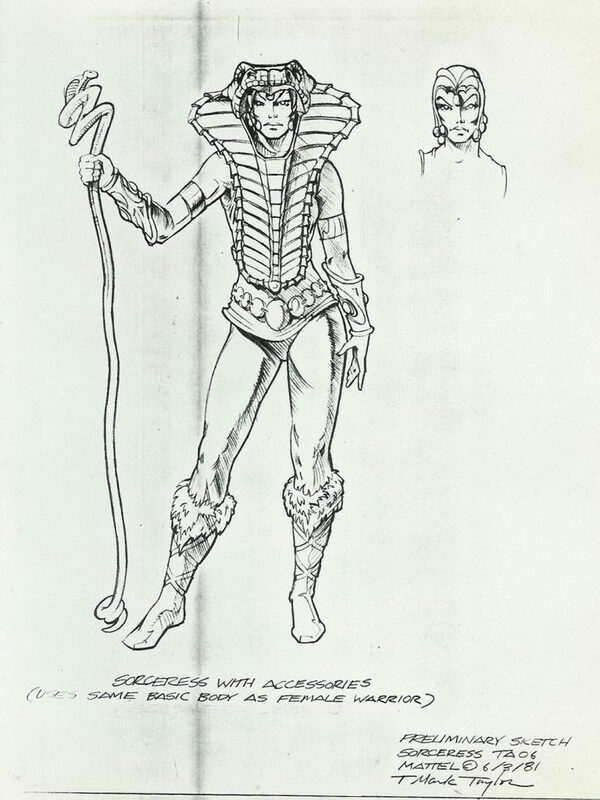 From the Grayskull set we see – A spacesuit kept in the throne room. An observation chamber with a satellite feed from outer space. A torture chamber with an exotic mix of prisoners in the basement/dungeon. And a training room. 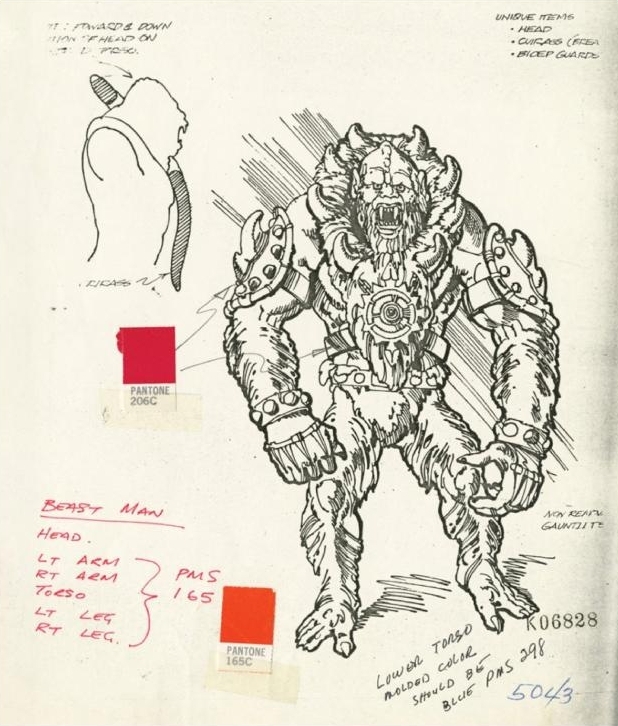 It sounds like He-Man was originally going to be a battle between human/technology versus monster/magic? 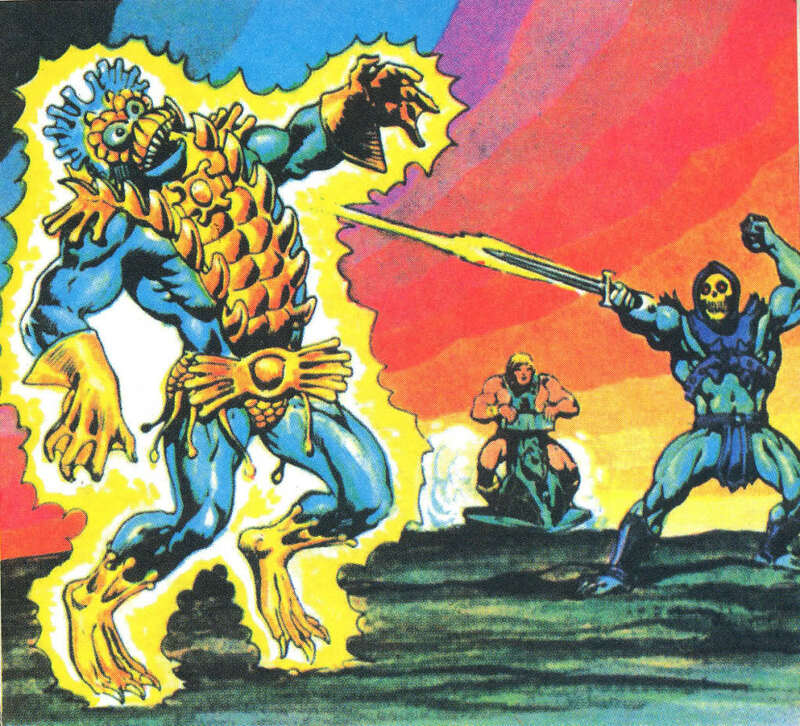 Magic seemed originally intended to be exclusively the source of Skeletor’s power. While the good guy’s relied on physical strength or mechanical devices. The cartoon made it He-Man’s source of power as well. Maybe the humans of the Planet-Not-Intended-To-Be-Called-Eternia were the descendants of space explorers who crashed on the nightmare-magic planet and who only dimly remembered their past? And He-Man is their tribal lord, unifying and protecting them as they struggle to survive and colonize a world full of monsters and sorcery? 2. 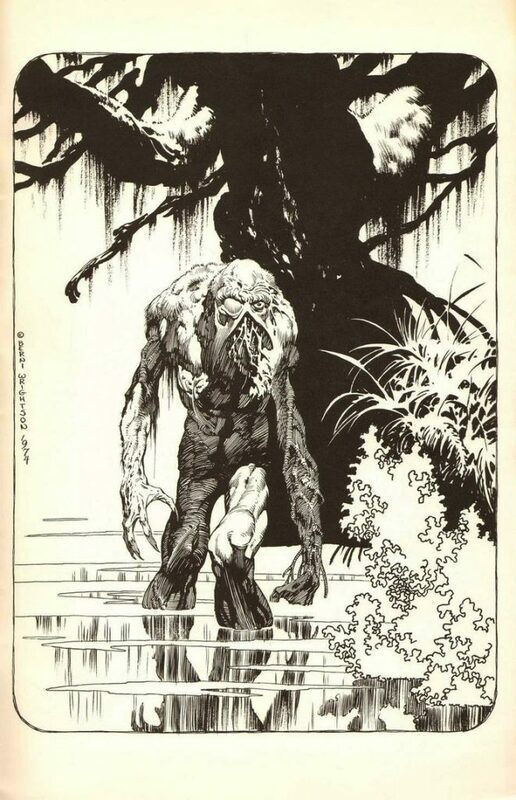 Does anyone know the progress of the Torak/He-Man prequel he mentioned? the planet is war goes through a big war which lasts along time and wipes out a lot of the population. The Survivors are regressed to a more primitive state. Some people spend there time uncovering and decrypting the technology of the past to use in the modern times (Man-at-Arms). Other survivors had banded into small tribes around the lands. One day, an Evil guy from one such tribe (maybe the ruler of that Tribe) feared his Son would be a claimant to the throne of Grayskull Castle. In order to remove him as such, he was thrown into the Pit of Souls deep in the castle depths. Years later, a Malevolent witch poisoner completely wiped out the tribe in revenge. She was the Mother of the Youth and once she had her revenge, she saved her son from the Pit. But when she saw how it had changed him, she went insane and drink her own poison. This youth became known as Skeletor. without including the time warp side of the Pit (also known as the Well of Souls), he is about 317 years old. Not long after leaving the pit, he was attacked by a Dragon. using his now great super human power, he killed the dragon and used his eye lid to make himself a hood to allow him to past amoung the people of the lands. He recruits his evil Warriors, killing all who dare defefy him, including a armadillo like monster which he turned into his armour. going from evil to insane, he wants nothing more then to take rule the world. Meanwhile the Leader of another tribe, there greatest Warrior He-Man, sets out on a quest to stop this evil. He finds the ancient technology of the past and with help of the Heroic warriors, fights to save the land. In the centre of a fetid and dangerous lake, Raises the Powerful Castle Grayskull. Both sides want it. Skeletor wants it’s power and evil creatures to take over the world, but also fear just how dangerous they are, as there clever and evil consul can warp the minds of anyone close enough to hear there talk. He-man and the Heroic warriors want the castle to keep it save from evil and they can use it’s great weapons, taken from the warped time in the castle (each floor gives a different distortion, ranging from the present, to the distance past and far future) to help save the land. I might be able to gather up a bit more and tell it a little better, but I think that’s fairly correct to what I know anyway. The story’s conflict hinges on whether Torak/He-Man can 1) prevent Skeletor from accessing Grayskull to use its power to wipe out humanity 2) resist Grayskull’s mind and body warping effects as he uses it to scrounge for technology from distant eras. 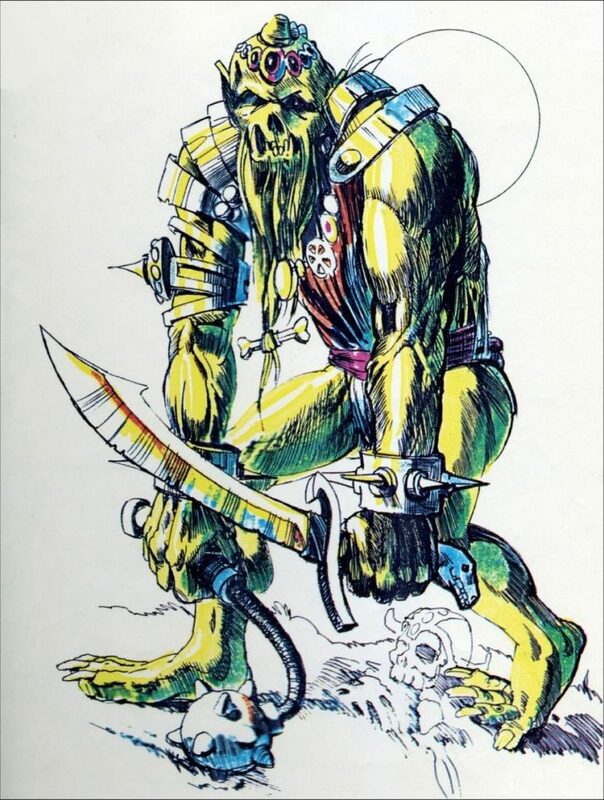 Torak/He-Man would be constantly teetering on the brink of annhilation – either at the hands of Skeletor or by the power that created Skeletor in the first place. How does “Hope” fit within that kind of bleak story framework? And how would the good guys ultimately win (presumably by destroying Grayskull somehow)? Those questions are why I’m really interested in the prequel he mentioned writing. There is always Hope. It is what gives the Power of Good the will to fight evil despite evil being more powerful (any story, like too often in the cartoon) where Evil is just a comedy stick where any real terror is lost cause they always lose in the end mostly due to there own stupid mistakes, loses everything. Also, Survivors are able to survive without hope? unlikely.. I don’t really see it as Beak.. just reminds me of old fantasy heroes.. Heroes fights the overwhelming power of evil, but as they fight it, there is a chance they can become corrupt… Who will give our heroes the will to survive and defeat the evil? Only YOU Can decide!